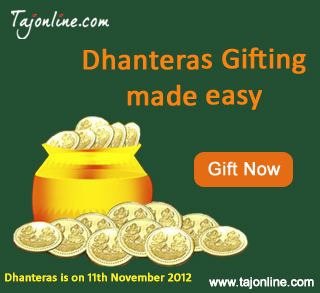 Dhanteras is also known as Dhantrayodashi. It marks the beginning of the Diwali celebration which is on 11th November, 2012 this year. In the word Dhanteras, Dhan stands for wealth and thus holds special significance for the business community. On Dhanteras, 251-502 the Goddess Lakshmi is worshiped to provide prosperity and well being. On this auspicious day, houses and offices are renovated and decorated. Entrances are made colorful with colorful rangoli designs to welcome the Goddess of Wealth and Prosperity. It is considered auspicious to purchase gold or silver articles or steel utensils on this occasion. Lakshmi Puja is performed in the evenings. During Dhanteras people often exchange gifts with each other. You can bring home a Ganesha or Lakshmi idol or gift the same , also silver and gold items like coins or utensils ,gold jewellery, pooja thalis, 1Z1-871 stainless steel utensils, Diwali gift hampers, crockery and many other things are exchanged as gifts. May Goddess Lakshmi bless each one of you with lots of good luck and prosperity. Wishing you and your family a very Happy Dhanteras!